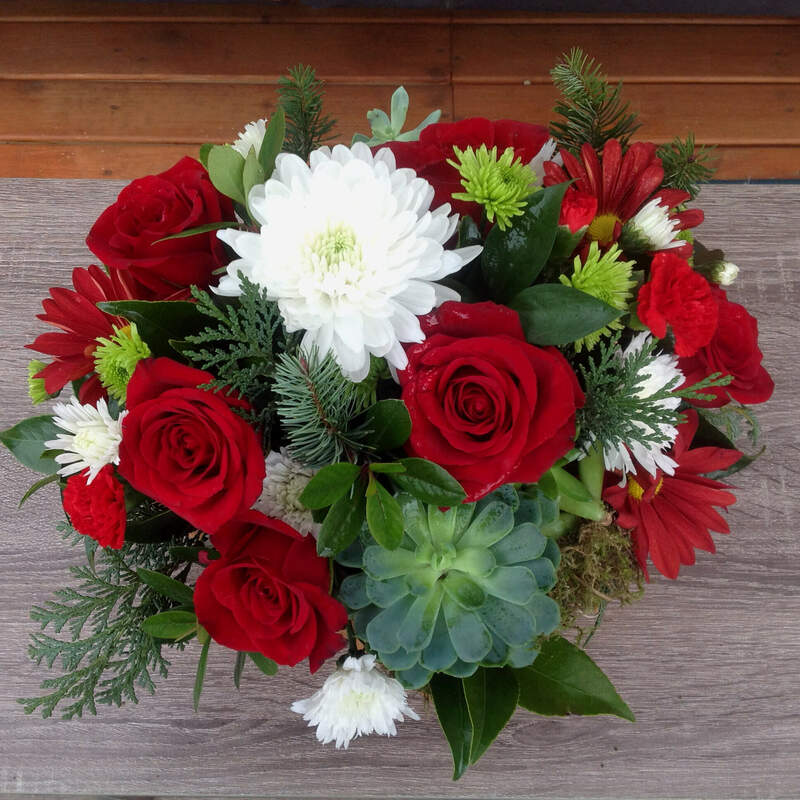 Live Succulent Plants and Freshly cut, velvety Red Roses with locally grown Cedar, Fir and accent flowers of pure white. Designed and delivered with love. Before adding to cart, please type your card message here! 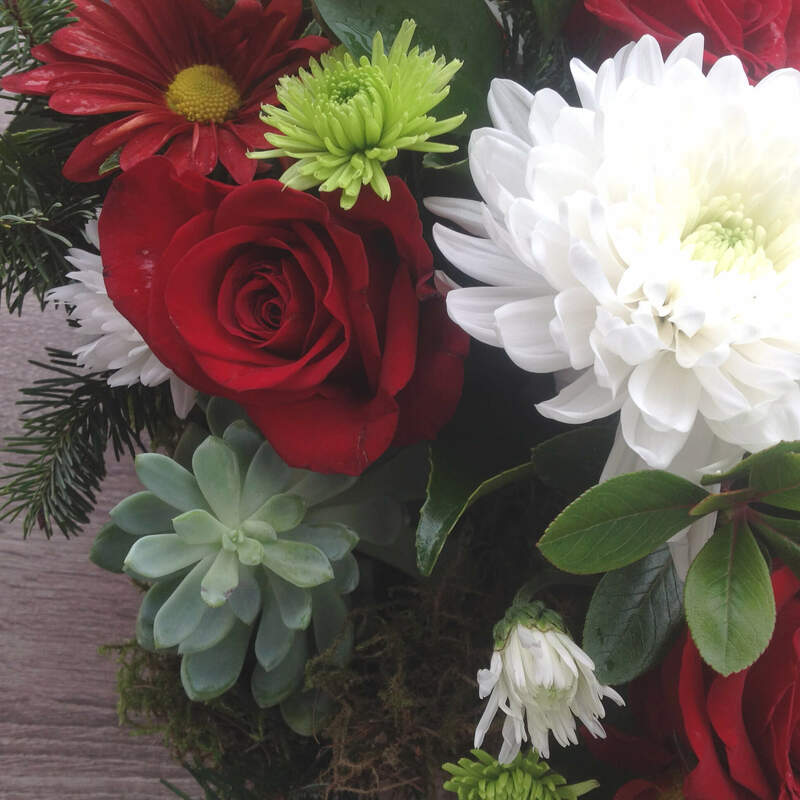 Lush, velvety Roses in this long lasting holiday centerpiece. 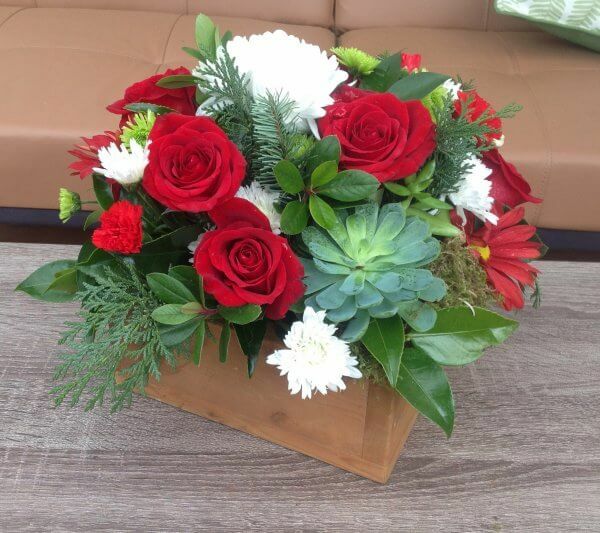 Designed in our handmade wooden box and filled with Succulent plants, Cedar, Fir and White accent flowers. The perfect centerpiece!